HANAMI Dry Gin is an exceptionally smooth, premium dry gin with an exquisite balance of exotic flavors exceeding the palate of the competition. With our highly skilled distillation craftsmanship we have achieved through distilling each of the 9 botanicals separately and have in addition a 10th ingredient blended into the recipe, created a truly unique quality Gin. Coriander, Juniper, Angelica, Peppermint, Bitter Orange, Fennel, Caraway, Dianthus and Nutmegs Myristica. 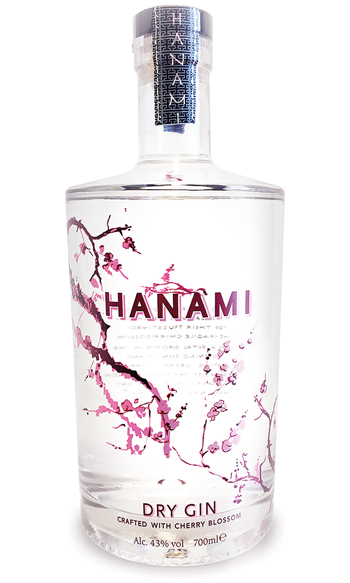 Followed by blending each component with Japanese Cherry Blossom and create the ‘One of a kind’ HANAMI Dry Gin. True and honest distillation craftsmanship, not just blending !